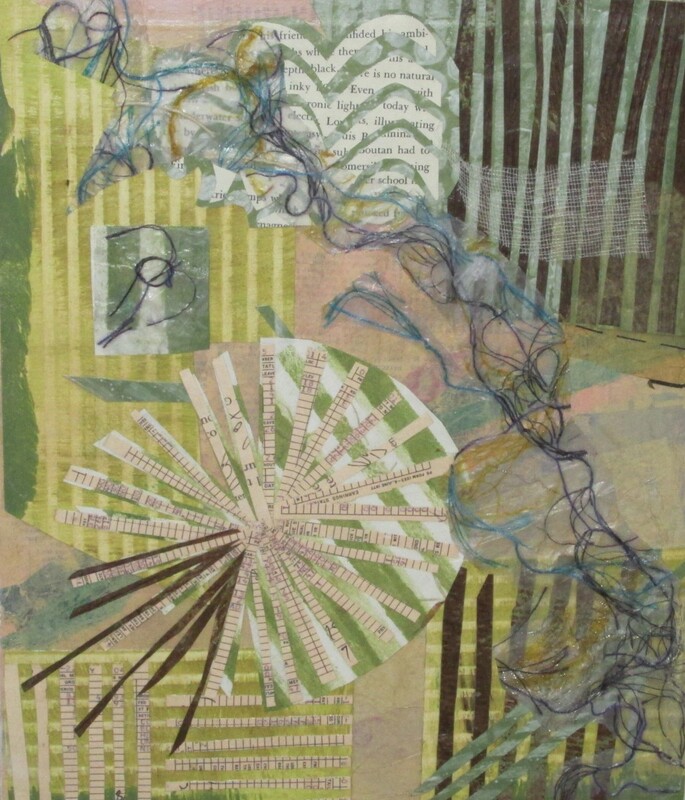 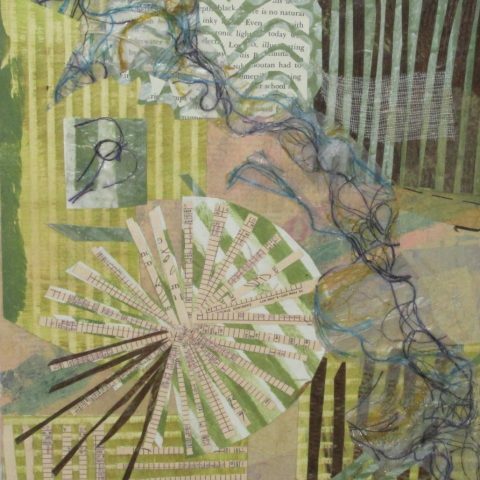 Mary Kandray Gelenser is a collage, mixed media and assemblage artist who delights in making something from nothing. 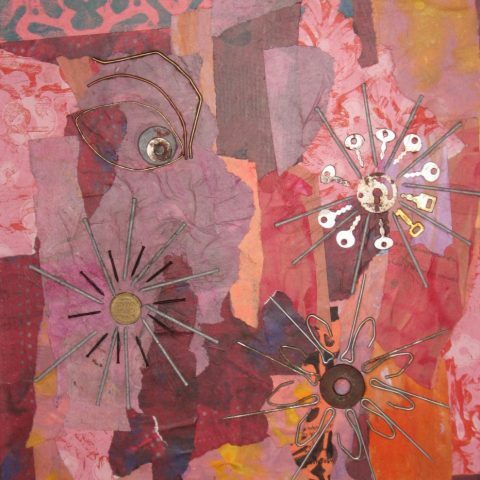 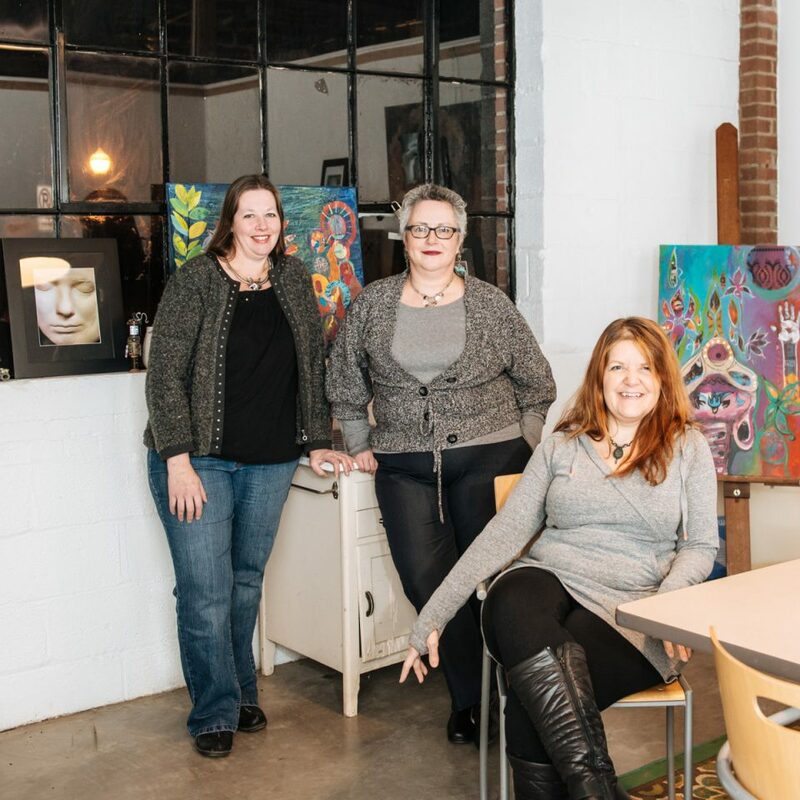 Junk, found objects and upcycled materials have always been central to the crafts and artistic expressions that she has created. 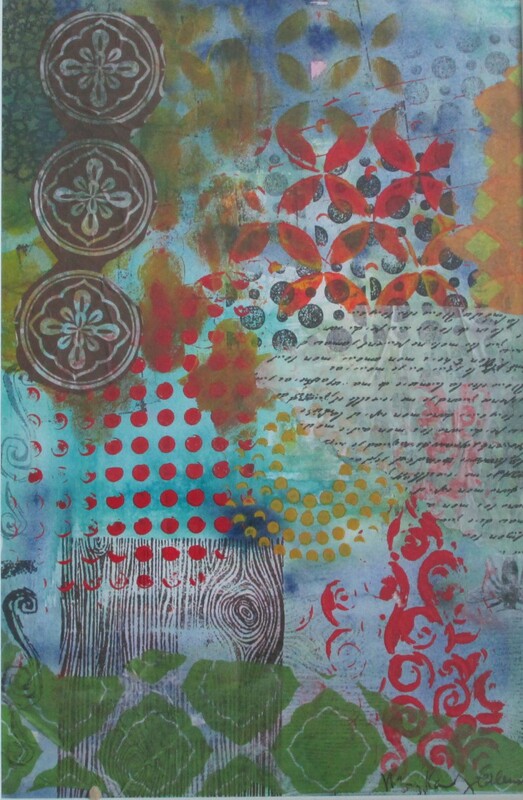 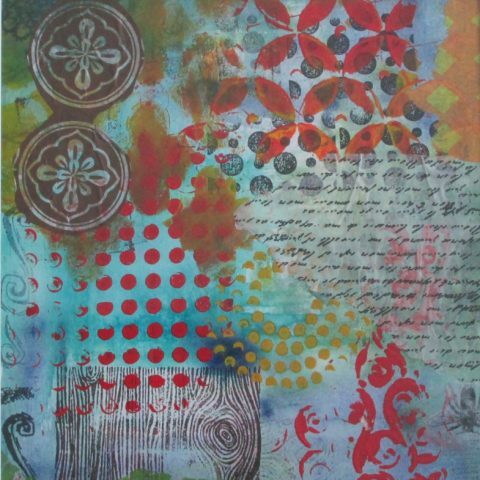 While she has no formal training in art, collage and mixed media classes from local artists introduced her to , techniques, tools, materials and principles of design and composition that have taken her art to a more focused and professional level. 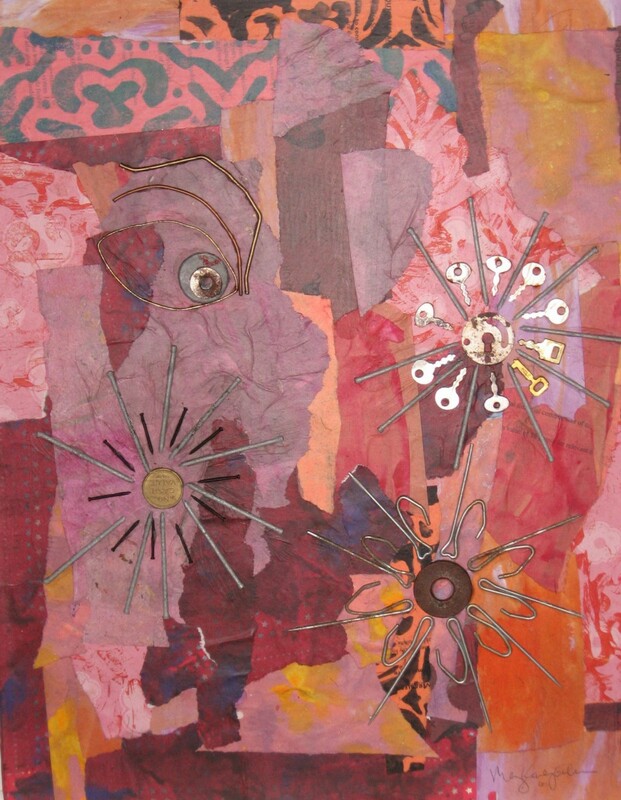 Color, found objects, recycled papers and hardware, old and new are all staples of her mixed media and assemblage pieces. 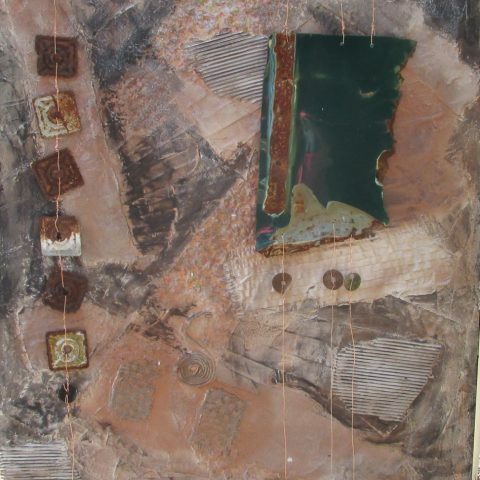 Finding inspiration from nature and from the found and recycled materials themselves, she creates semi-abstract pieces with reference to the natural world and living creatures. 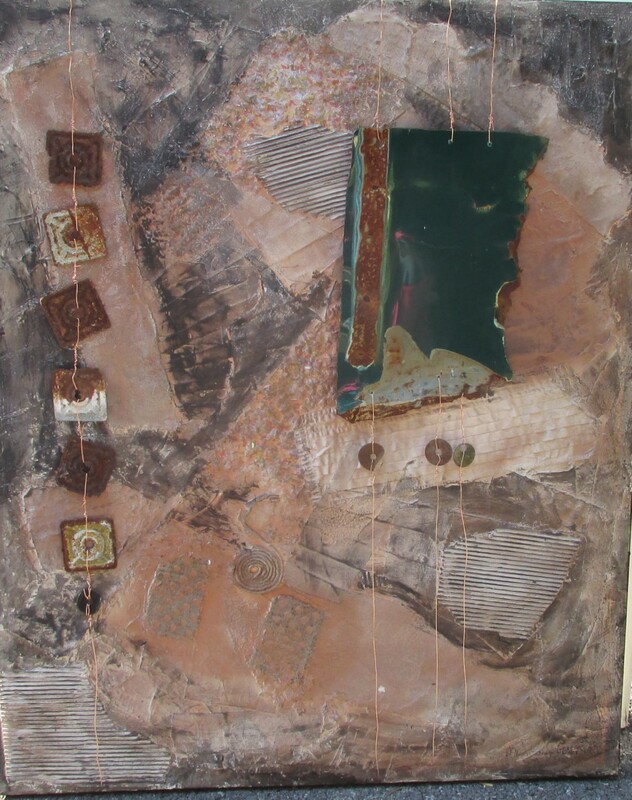 She looks forward to working among and gaining inspiration from the Millworks artists and to sharing her work with a new audience.